OmieBox is the first leakproof bento lunch box for kids that stores hot and cold food together, so parents can pack healthier school lunches. 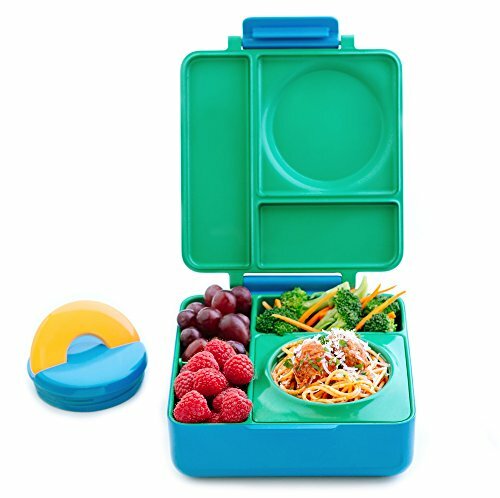 Kids get up to two-thirds of their daily calories at school, so make those calories count with healthy meals packed into one easy to use bento lunch box. OmieBox is different because it has a built-in thermos food jar that keeps lunch warm for 4 hours. The bento compartments are double walled, air insulated and leakproof, so it keeps fruits and vegetables cool and fresh. You won't need a separate lunch box because OmieBox comes with a handle, so it is the only container you need to store and transport food to school. OmieBox has a clean, modern design, and it's so easy to use it'll change the way you think about school lunches. You put a lot of love and hard work into your kids lunch, making sure they get the nutrients they need to grow. OmieBox's thermos bento lunch box design protects the lunches you create so every time your kids open it, what they see is your love. If you have any questions about this product by Omie, contact us by completing and submitting the form below. If you are looking for a specif part number, please include it with your message.